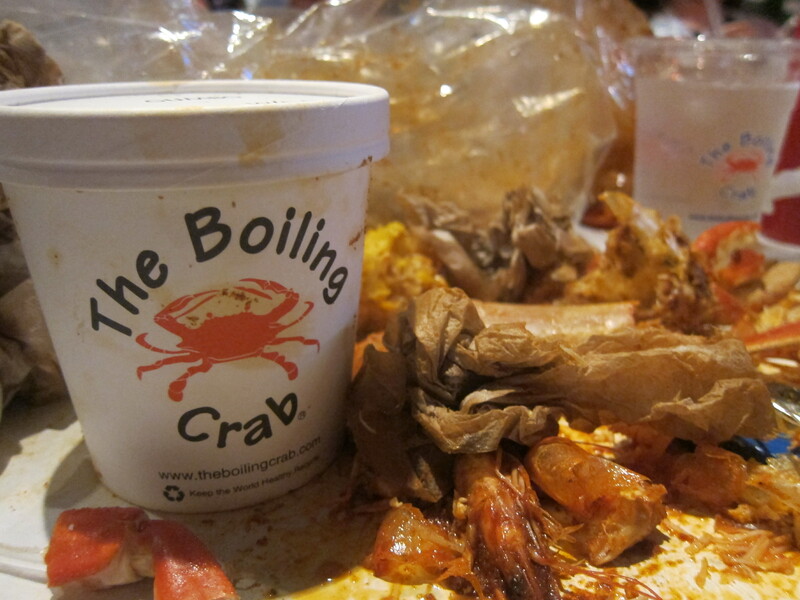 The Boiling Crab feels like a guilty pleasure, not because it’s unhealthy, but because it’s insanely messy. Here’s how it works: You drive to Koreatown, Alhambra or Rowland Heights and wait for an hour or two because this is a popular restaurant chain that doesn’t take reservations. When you’re finally seated, you’re given a bib along with your menu. 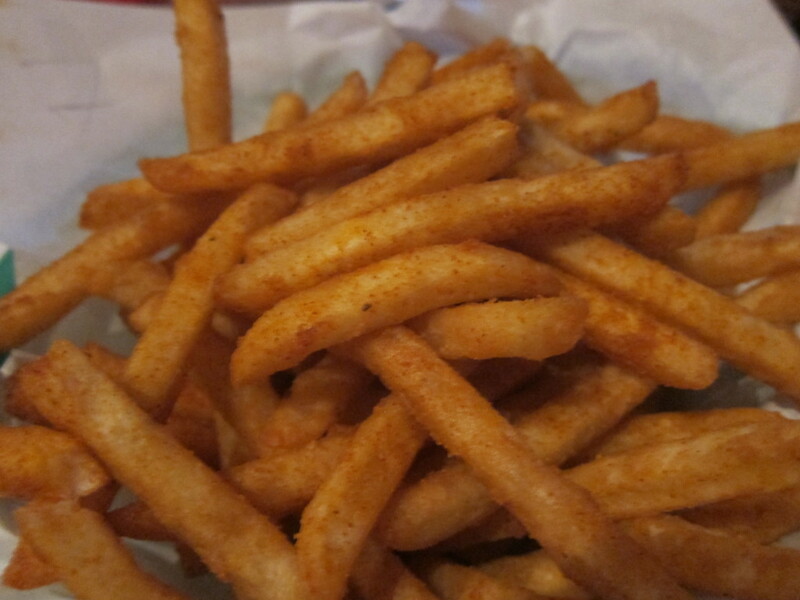 Order a cold beer and a couple appetizers. 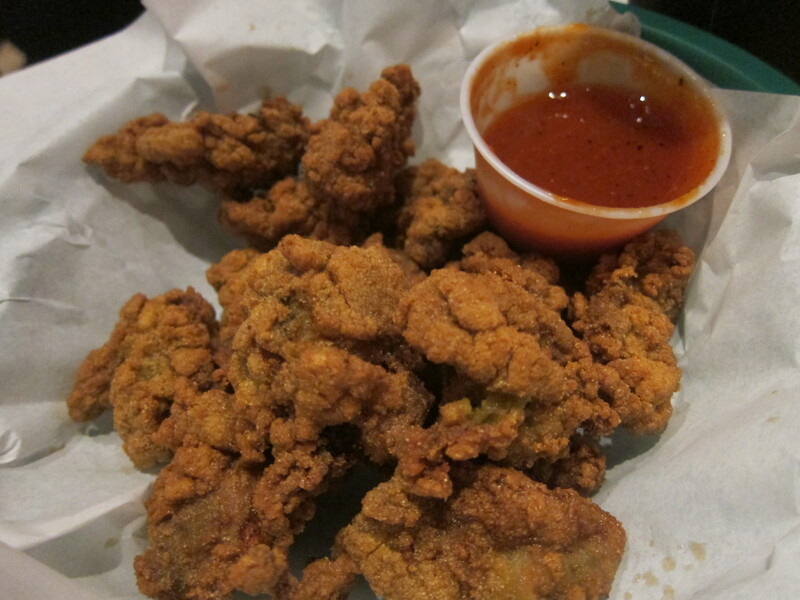 The spicy gumbo and the fried oysters are a good call. 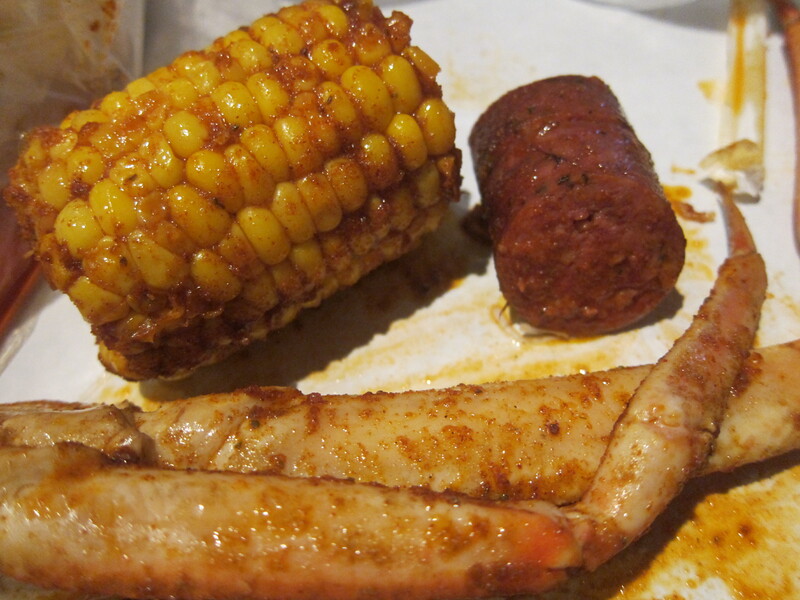 But the main attraction here is the peel ’em and eat ’em shrimp, four different kinds of crab, crawfish and lobster, all of which are ordered by the pound and placed in clear plastic bags with your choice of seasoning (Rajun Cajun, Garlic Butter and my favorite — Lemon Pepper), and boiled to perfection along with corn on the cob and spicy sausage. When the bags arrive at your table, the real fun begins. Hands get sullied, propriety is abandoned and chaos ensues in a whirlwind of twisting, cracking, digging and consuming. At the end you’re left with a glorious mess of discarded shells, dekerneled cobs and a mountain of crumpled, sauce-drenched napkins. Give everyone at your table a high five and never speak of this experience again, especially to uptight friends or significant others who frown upon such gluttonous depravity. 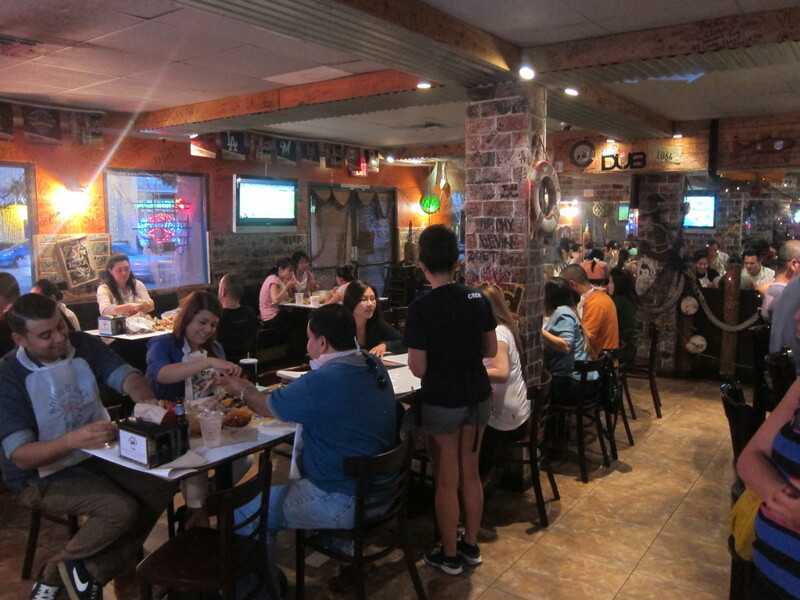 What happens at The Boiling Crab should stay at The Boiling Crab. 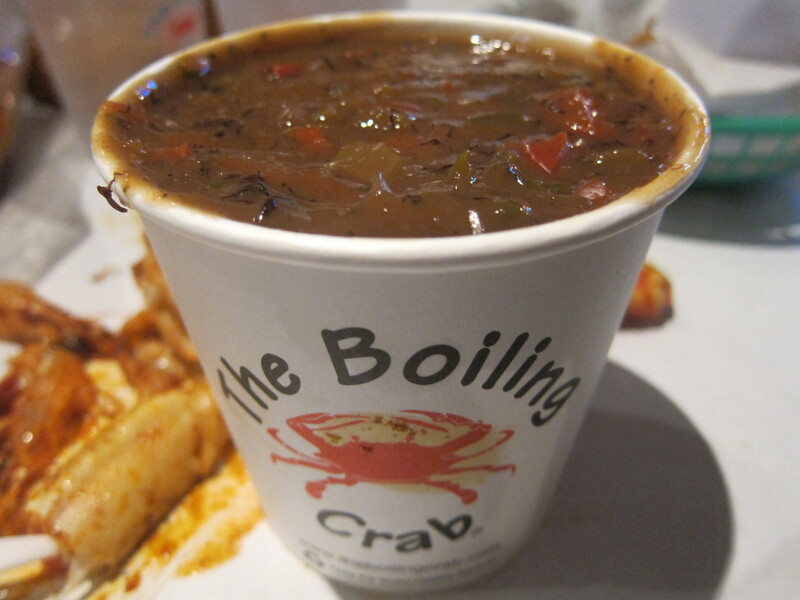 The Boiling Crab is located at 742 W. Valley Blvd. and 33 W. Main Street in Alhambra, 18902 E. Gale Ave. in Rowland Heights and 3377 Wilshire Blvd., Los Angeles (in Koreatown). UPDATE: The Boiling Crab has expanded quite a bit. There are now additional locations in Westwood, Albhambra, Rosemead, Woodland Hills and Burbank for you to make a mess in. 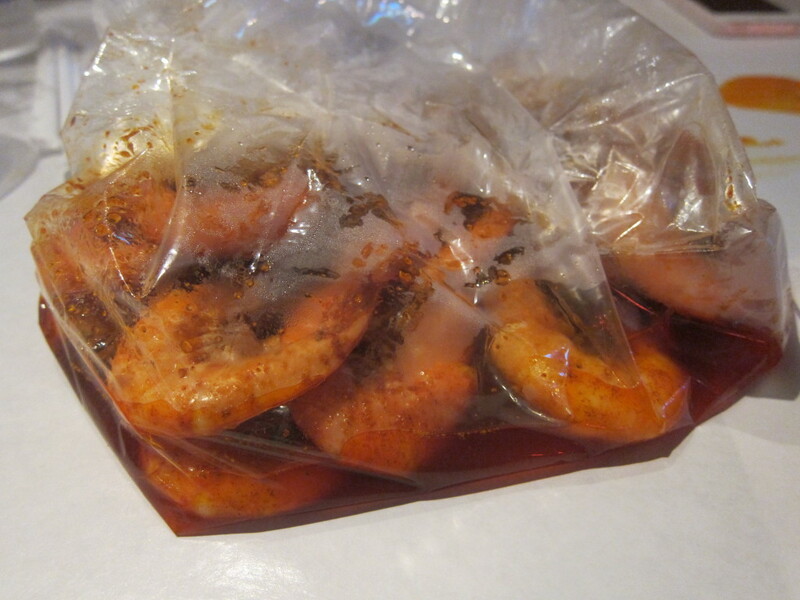 Plus there’s a “Boiling Crab To Go” wing at its Koreatown location so you can make a mess at home. Bibs are the new must-have fashion accessory. Any restaurant suggestions for Barcelona, Spain? I recommend a restaurant called Comerc 24. Also, there’s an inexpensive tapas bar I like called el Rincon del Cava. Have a fun trip!